Our detached house, Villa Boric, has a beautiful view over the sea. Sunset is a must see! The house is surrounded with a lovely garden with olive and fig trees. The sea is only 50 meters away. You can walk along the waterfront to the city center of Stari Grad - this enjoyable stroll takes about 10 minutes. Please note that the whole house and garden are at your disposal except for the garage (parking place is available in front of the house!). There are no other guests/owners at the property. 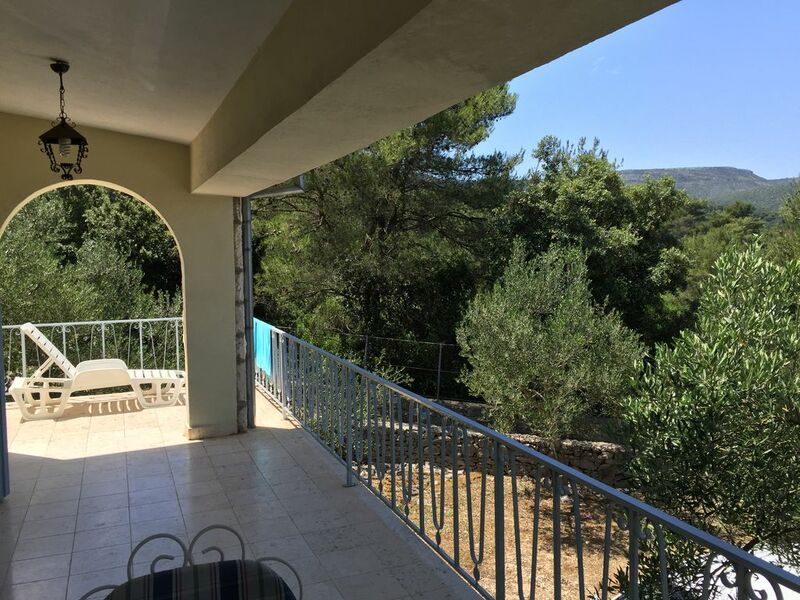 Only 50 m from the beach and 10 min from the center of Stari Grad. The house is immersed in green surroundings of a beautiful garden. We simply loved the location - being able to wander down the hill to the sea and also to wander along the coastal path into the town. All the arrangements were well managed. Die Lage und die Entfernungen zum Meer, zum Zentrum von Stari Grad sind einfach toll. Leider ist die Ausstattung sehr spartanisch und das kleine Haus brauch eine Renovierung des Bades und einige Erneuerungen des Mobiliar und der Bezüge.